More than a hundred of cancer specialists and researchers from a lot of countries, who specialize in chronic myeloid leukemia (blood cancer) published their commentary in a medical journal of the American Society of Hematology, saying that prices for cancer drugs are maybe immoral, but for sure astronomical. This is not the first try by health care professionals to affect the prices. Here you can read about other drug caused the outrage. Some of the doctors were inspired by Sanofi’s decision to cut the price in a half for their drug called Zaltrap, after doctors at New York Memorial Sloan-Kettering Cancer Center refused to use the drug for their patients’ treatment because it was not better than some of its alternatives, but at the same time the price was twice as high. Also, those physicians publicized their thoughts about the drug pricing in the New York Times article, which was the main spur for Sanofi to cut the price. As for now, it is hard to predict what will be the outcome of the new commentary. This protest is led by a chairman of the leukemia department, Dr. Hagop M. Kantarjian of MD Anderson Cancer Center in Houston, Texas. He said that he understood it was a risk and he was sure that his career would be hurt as he was going to be blackballed. But he said that it was time to speak up, as pharmaceutical manufacturers have lost their sense of moral. Out of about 120 doctors, 30 are from the U.S. Those doctors have close ties with pharmaceutical companies through clinical trials or research during a drug development. They stated they were for the healthy industry of pharmaceuticals, but the industry does not need such high prices to be healthy. According to their comment, unsustainable increasing of the life-saving drug price is profiteering. They stated that lowering the prices was the necessity to save their patients’ lives. Doctors focused on the Gleevec, drug which is manufactured by Novartis and bring the company incredible profit. This drug is used for chronic myeloid leukemia treatment, in which doctors are the best. One of the doctors, who criticized the prices for cancer drugs is Dr. Brian Druker. Dr. Druker was Novartis’ main academic developer for their drug. Novartis disagreed with doctors and said only a small number of patients pay the full price of the medication. This price reflects how expensive the drug was to develop and its value for the patients with chronic myeloid leukemia. Dr. Druker, now the director of the Knight Cancer Institute, Oregon Health and Science University, was wondering in his interview if you could get by with only $2 billion a year if you were making one billion more on Gleevec? He also wondered when did someone cross the line between profiteering and essential profits. Novartis best-selling drug, Gleevec, bring the company a $4.7 billion profit in 2012. Another drug produced by Novartis for leukemia treatment is Tasigna and its sales were about $1 billion. The price for Gleevec was about $30,000 per year in the United State in 2001 when the drug entered the pharmaceutical market. Novartis tripled the price for their cancer drug since 2001 despite five newer competitors on the market. However, those drugs are even more expensive. A chief executive, Dr. Harvey J. Berger of Ariad Pharmaceuticals, said it was surprising that doctors focus was where the small-molecule drug had had the greatest impact on long-term benefit for patients with cancer. He also said that the price for Iclusig (the most expensive leukemia drug) was not $138,000 a year, but $23,000 lower than doctors said in their commentary. Other drugs mentioned in the commentary were overstated as well. Among those are Bosulif from Pfizer, Synribo from Teva Pharmaceuticals LTD., and Sprycel produced by Bristol-Myers Squibb. It could be explained by manufacturers citing their prices at which they sell their products to wholesalers. This price always lowers the price that is used by pharmacies to sell the same drug to the patients. In their statement on April 25, Novartis said it recognized that health care system sustainability as a complex topic. It also said that Novartis would be the part of the dialogue. 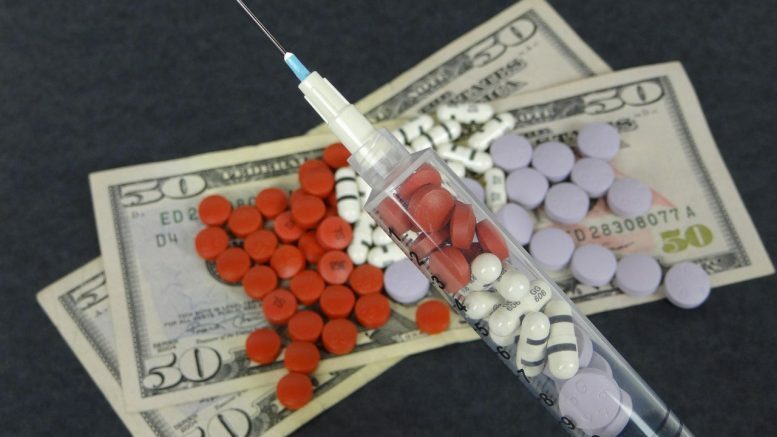 Novartis stated that Gleevec or their new drug Tasigna was available for more than 50,000 people in other, low-income countries and those drugs were free to almost 5000 of underinsured or uninsured patients in the United States. According to Novartis, the price reflects also the value of the drug, which turns a deadly diagnose into something like chronic diabetes. In 2015 generic versions of cancer drug could enter the U.S. market after the expiration of Gleevec patent. However, it is possible that Novartis will be trying to prevent patients from using other drugs that are competitive to Gleevec or shift them to the other drug from Novartis, Tasigna. Be the first to comment on "Oncologists VS High Cost Of Cancer Drugs"